Takara has been upping the ante on the Transformers Masterpiece line over the past 24 months, with some awesome figures released in the new scale. From the release of MP-10 Optimus Prime onwards, the releases have just continued to astound and amaze with their incredible G1 aesthetics and state-of-the-art engineering design. When the Nissan trio of Prowl, Bluestreak, and Smokescreen were first teased, that pretty much set off nerdgasms across the G1 Transformers fandom, and showed that Takara really were serious about pursuing and getting the official car licences needed for the Season 1/2 Autobot car lineup. They had already had a home run with the Lamborghini releases of MP-12 Sideswipe and MP-14 Red Alert (on either side of the truly masterful MP-13 Soundwave). The Countach was one of the most recognisable and sought after designs from the original cartoon, and adding the Nissan Fairlady Z to the troupe was just more fuel to the now flaming fire that is the Transformers Masterpiece line. I made the mistake of preordering all three in one order from Robotkingdom, meaning I would not receive any of them until all were in stock! With Prowl being released around August, Bluestreak around September, and then Smokescreen in early December, it was a long wait. But yes, as they always say, good things come to those who wait, and to say that these three are a "good thing" would be the understatement of the year! The contents I received were truly beautiful to behold, as you can see above! Since these were from an Asian seller, I got the collectible coins and additional chrome shoulder cannons for free as part of the order, which is always a nice touch. But of course the main attraction are the cars themselves, and they did not disappoint! Due to the popularity of the characters, the shape and design of the Nissan trip is every bit as iconic as the Countach, and Takara have nailed the mold perfectly, with minor variations for each car to suit their individual characters. The paint app on all three is great overall, with Prowl definitely being the worst. Mine had a few paint blemishes and scratches, but nothing a normal person would probably notice. But for an OCD collector like myself you could probably go crazy over them. I've learnt to be a little tolerant if it's not too obvious, and RK are very good at giving some reimbursement for any paint blemishes you may find. The paint app of Bluestreak and Smokescreen are pretty much perfect though, and really pop on display. One would think that the black and dark silver of Bluestreak would make him rather dull, but the shine and metallic finish actually makes it even more appealing. As for Smokescreen, the racing red colour is beautiful, and the only thing I dont really think are the somewhat unnecessary decals. Other than this, Smokescreen would probably be my fav paint app wise. When displayed together with the previous Lamborghini releases, the group really shines, and just gives that little tease into what a full G1 Season 1/2 cast would look like. If Takara really does do the full cast (or at least the majority of it), I think G1 Transformers fans are in for a real treat over the next couple of years. As with the Lamborghini mold, the Nissan transformation is neither too easy nor difficult, but strikes the perfect balance - as they say, an elegant engineering solution is always the best. But with me, I always have trouble performing the MP transformations, especially on camera (watch the video review linked below to see how much I struggle!). One mistake I made after watching some Japanese reviews was thinking that the head piece needs to be completely pushed through the hood during the transformation. This is in fact wrong and could do some damage to the figure! In fact, the head piece needs only to be pushed up against the tabs in the hood (not through them), and then gently pushed up tightly so that the side mirrors can be tucked into the slots properly (see the vid review to get a clearer idea on what I mean). Once that is done, the action of clipping in the torso holds it all quite tightly in place and the head piece sits nicely flush (not too high, nor too low). The lower legs (rear of the car) transformation is perhaps the most ingenious part of the transformation. It is these parts of the sequence that truly separate the MPs from their G1 counterparts, and is the main factor (like with the Lamborghini mold) as to how they look so much bigger in bot mode to their vintage figure. The legs provide for awesome poseability and stability, and again perfectly capture their G1 aesthetic in a realistic manner. Once the transformation to bot mode is complete, the beauty of the figures is almost multiplied tenfold, with the unique headsculpts the stand out feature for me. Takara have perfectly captured the look of each character directly from the cartoon, even with the much criticised bulkiness of Smokescreens visage. I mean, what are people complaining about!?! The MP line is all about cartoon accuracy, and these sculpts look like the characters just stepped out of the damn TV screen! All the Nissans have the shoulder cannon mechanism inbuilt, although Smokescreen has the cannon parts removed. This is so that the extra larger cannon pieces can be slid onto the mechanism to complete his unique bot mode look. For me, I go for the cartoon look, so my display has Prowl with no cannons, Bluestreak with his inbuilt cannons, and Smokescreen with his unique cannons. And together with the other Season 1/2 MP Autobots, they just look amazing. 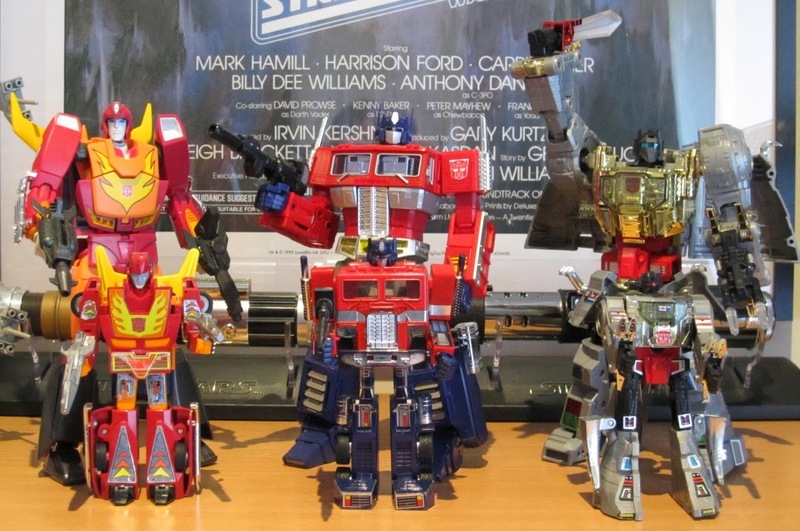 So the photo below is pretty much how my MP Autobots will look in the display at the end of 2013. It's an exciting time for G1 fans that collect the Masterpiece line. With essential characters like Wheeljack, Bumblebee, and Ultra Magnus confirmed for 2014, along with repaints for G2 Sideswipe and Soundblaster, 2014 is already looking like a great year. If Takara decides to announce a new Megatron or Galvatron, or even more Autobot cars like Mirage, Jazz, Ironhide and Hound, G1 fans will certainly have much to celebrate! Here's hoping the MP line continues to amaze us for many years to come! "I CAME IN LIKE A WRECKING BALL!!!" When Terminator 2: Judgement Day was released in 1991, I was only in Year 10 at high school, and saw the movie with my dad and brother. Needless to say, the movie blew us all away with its incredible action and state-of-the-art special effects (for its time). Even now, more than 20 years later, the movie still packs a punch in the action department, and I think still represents both Arnie and James Cameron at their very best. So when I got into Hot Toys collecting almost 2 years ago, my search was on for Terminator related figures. Hot Toys had released some previously with Sarah Connor and the T-1000, but I never got them because the T800 Terminator figure at the time (MMS117) just didn't look right to me. It was lucky for me that Hot Toys re-released the classic T-800 Terminator with a new DX10 figure that had an improved head sculpt and some nice accessories (mini-gun!). Still it wasn't perfect, with the head sculpt looking like a younger version of Arnie rather than his older look in the T2 movie. As a DX package, overall DX10 was quite light on, and left many collectors wishing there was more included. To add more controversy, upon the release of DX10, Hot Toys then announced the DX13 T-800 (Battle Damaged Version), which pretty much had all the things the collectors had wanted with the DX10 figure! At first I was also annoyed, but once I started looking at the prototype photos of DX13 and how different the body and accessories were, I was suddenly all for having both a clean T-800 look plus the battle damaged, torn up look as well! Both would complement each other perfectly!! As with all DX packages, the DX13 box and contents are beautifully designed and arranged. The box matches the faux-leather look and feel of the DX10, this time obviously with the battle damage befitting the figure. The bullet holes and subtle bleeding effect is very nicely done. As with all DX designs, the box lid is held closed with magnets, and flips open to show some text and artwork relating to the source material. I like that Hot Toys have slightly changed the design of the opening flap where the hinge is now at the bottom of the box, not the top (a trend I think they started with the DX11 Joker figure). Having the hinge at the top edge of the box caused rips in previous figures, but this new design allows the lid to open flat, which is a huge improvement. Again as with all DX figures, the contents are first covered by a thick piece of cardboard with their signature dark foam backing. Each card always has some sort of accessory or artwork, with the DX13 having a cutout piece of the Terminator's battle damaged jacket. A nice touch if nothing else. Once that cardboard insert is removed, the contents are revealed in all their glory! And what a sight to behold the DX13 figure is! This is the first DX figure that does not have an all foam layout, with the T-1000 accessories on the right being placed in plastic clamshell material instead of foam. I would've preferred foam, but not matter. The T1000 statue and exclusive version head sculpt were nicely wrapped in grey soft material to prevent damage. As I mentioned above, the additional T-1000 head sculpt is a Sideshow exclusive accessory that is not included in the regular version that most other retailers will sell. It's just another nice to have feature in being able to swap the statues head, or perhaps even use the head sculpt on a custom T-1000 figure. All DX figures should come packed with accessories, and thankfully DX13 is one that comes pretty well jammed packed! As mentioned above, there's the alternate head sculpt for the T-1000, but it's definitely the alternate fully battle damaged head that steals the show. The detailing on the head sculpt is incredible, with the paint app really highlighting the subtle details in the flesh, skin tone, exposed endoskeleton, and the impressive light up eye. The left eye retains the ability to be moved via the rolling eyeball system, whereas the right exposes eye has a great LED to show the red eye that is so iconic. See further down for some pics of the eye while lit. The various battle damaged hands are incredibly detailed, with all sorts of blood, torn flesh and leather, and metallic endoskeleton showing through. It's great that Hot Toys included the iconic thumbs-up gesture to recreate that final scene. Of course being the battle damaged version, one of the key accessories is the broken arm that happens after his fight with the T-1000. This is attached by removing the regular left forearm of the figure and swapping with this accessory. The swap out is a little tricky, with the joint being tight, but just go slow and nothing should snap off. I'd also recommend doing it after you've removed the jacket. The paint app on the torn arm is pretty good, with some nice blood detailing on the chrome exposed endoskeleton. With both the semi-battle damaged and fully battle damaged head sculpts, DX13 also comes packed with the accessories to accompany both looks depending on the time in the movie. So it includes the grenade launcher with grenades and bandolier, machine gun, pistol, and that awesome steel rod that the T-1000 drives through him in their epic battle. Depending on which part of the movie you want the figure to represent on your display, it'll have the accessories to go with it! 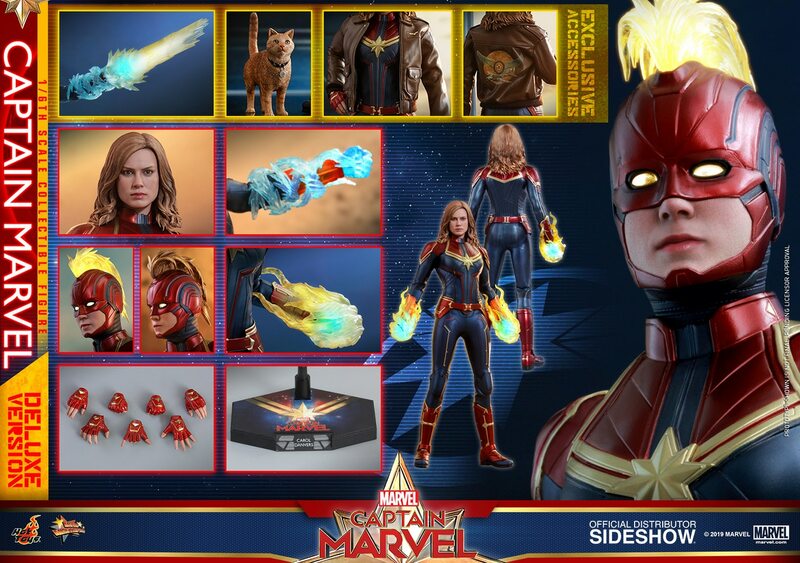 Of course with the torn arm accessory, the jacket needed to suit that look, and so Hot Toys have also included a second jacket with the figure to go specifically with that look. This fully battle damaged jacket is nicely tailored, riddled with bullet holes and weathering effects, and the tears are cut just right. It's great that little details like the bullet holes are also accompanied with slight blood seeping out. It just totally adds to the realism that is designed into this piece. Last but not least, the other key accessory is the T-1000 statue itself. It comes standard with the "silver surfer" type head, and the overall chrome paint app is fantastic. They even include a small lint free cloth for you to buff it up and remove any finger prints! I would've preferred a more static pose, as the one they have chosen is a very specific battle scene from the movie where the T-1000 holds and twists the T-800's arm. That is the intent, where the arm of the DX13 figure is inserted through the hole, and the fist attached on the other end, given the illusion of the hold/twist. It's a nice touch, but I'm not sure a lot of collectors will use it. Onto the figure itself, and this new body is amazing to say the least. The gaping wound in the chest is beautifully painted, with all the requisite gore surrounding the exposed endoskeleton. It's incredible that the t-shirt is cut to perfectly fit, and has blood seepage and bullet holes to add that incredible realism. The articulation is also top-notch, with barely anything that is missing from figures of this sort. The arms have double jointed elbows so that it can achieve those weapon holding poses in a natural manner, and the biceps and wrists all articulate nicely. The exposed left knee is also beautifully done, and articulates via a single knee joint that is very strong and stable. Again the paint app with the exposed flesh and skeleton, and the torn leather pants is also incredibly done. The lower leg can also swivel to point the feet, and overall the legs articulate as they would with any other 1/6th scale figure. The only real limitation in the legs is the tightness of the pants, which restrict the extent to which the legs can be moved forward or to the sides. But that's a minor problem in the scheme of things. As an initial comparison against the previous DX10 clean version, both straight out of the box look pretty amazing. But the DX13 is just a huge improvement in the likeness to Arnold Schwarzenneger. The DX10 still just has that younger, less wrinkled, less defined look to it. That could perhaps be a fault of the somewhat soft and less-detailed paint app on the head, where the skin tone is very flat. But with the DX13, even the smallest details are present in the facial paint app and sculpting, with wrinkles, skin texture, and overall sculp improvements all showcasing how far Hot Toys can improve within a short space of time. Pick any iconic scene, pose, or gesture from the movie, and DX13 can pretty much replicate it without too much of an issue. 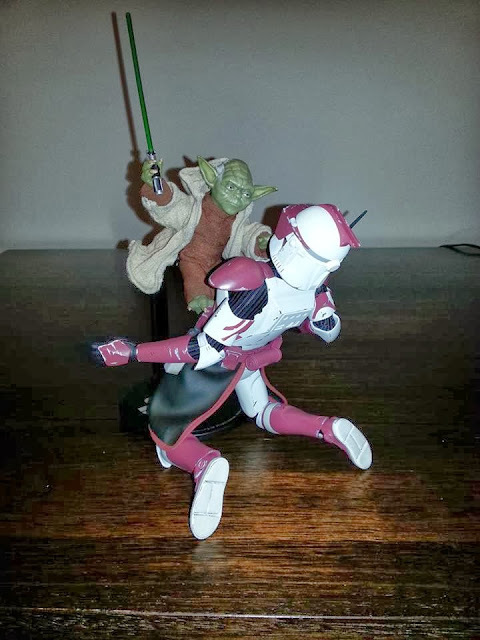 I have to say that I haven't had this much fun playing around posing a figure since perhaps the DX07 Luke Skywalker or DX11 Joker figures. As mentioned above, the LED light up feature on the eye is nicely done, and is quite bright in all light conditions. Swapping out the heads on the body was relatively easy, and the light up feature is easily accessed by removing the back of the head as with other DX figures. The full battle damaged look of DX13 is where this figure absolutely shines. Here in the pic below it's pretty much decked out with all the accessories relating to the fully damaged look. And it just POPS in the display! The posing options, the exposed flesh and endoskeleton, the light up eye, all just give this piece some serious presence. With the sunnies on, the DX10 figure looks closer to Arnie that it does without. I would normally leave it like the photo below, but have been warned the sunnies may bleed colour onto the head sculpt, so I've removed them for display and use them for photo opportunities only. Either way, both DX10 and DX13 together like this is just a beautiful way to display this iconic character in your cabinet! The only issue I have is that the DX13 body is slightly larger/taller than DX13, which is then made even more pronounced with the higher stand that comes with DX13. But with some creative posing, that slight increase in size can be masked if you still want both figures displayed together. When I first unboxed my figure, my eyes were immediately drawn to this white streak that runs diaginally down from the figure's right hip to the crotch. At first I thought the pants were scratched, or had some strange crease in them. But on closer inspection, it looked like the weathering effect had been incorrectly added to that spot. So I called Sideshow and asked for replacement pants. Their response was that providing a replacement would not guarantee any better or worse since the weathering effect is hand applied, so each figure is slightly different. For mine, the visibility of the streak changes dramatically with the angle and lighting conditions. You can see in the photo below how obvious the streak was, so I was quite disappointed with the figure. Upon hearing from collectors that the weather in that location was actually intended, I looked up other review pics, review videos, and even eBay listings of spare pants. And the vast majority of DX13 figures will have some sort of streak/weathering application in that spot. In fact, you can clearly see it in almost all ebay listings of spare pants. The visibility of the streak varies between figures, so some may not notice it at first. Either way, it doesn't really bother me much anymore. I was advised to rub in a tiny amount of leather conditioner on the streak, and that seems to have actually helped reduce the visibility of the streak! So in the photos further above of the figure and the poses, the streak can be seen but is not nearly as visible as it was. So if yours comes with it, this is just something to keep in mind. I thought my 1/6th scale figure of the year was going to easily be the DX11 Joker figure released earlier this year. And that is still one of Hot Toys' best figures ever made. But the detail in everything that comes with the DX13 package just makes it better in my opinion. The head sculpt likeness in both semi and fully damaged versions is incredible. The accessories are numerous, and complement the figure perfectly - the inclusion of the T-1000 statue is definitely nice to have. And the figure itself is just phenomenal. The new unique body I think warrants the different version release to DX10, and I for one am glad that I can have both side by side. Why is it that we collect? Why is it that we covet these things, be they small like coins or stamps, printed media like books and comics, the addictive plastic of toys and figures, or virtual reality of so many of today’s incredible games? In the technology industry, that quote is very much the truth, as one of Apple’s iconic inventions shows. The iPod, now in hindsight such a simple concept, forever changed the way we listen to, categorise, and collect our music. That one small product alone made music collectors out of millions of people who previously cared little about their vinyl and CD collections! The gaming industry makes collectors out of all of us yearly with revisions, sequels, and expansion packs making up a huge portion of the market! Franchises such as Call of Duty, Warcraft, The Sims, FIFA, Assassin’s Creed, and my personal favourite Street Fighter, have made an art of providing needy fans their fix of their favourite virtual world. And the common factor above is the inherent desire to have the latest and greatest, that instant gratification for what’s hot at the time. And companies know that this is just the very beginning, and the younger you are, the more affect it will have on you later! What do I mean by this? Let me explain – I’m one of those lucky enough to be born in the 70s, grew up in the awesome 80s and 90s, and as an adult now have a job in the 21st century. And even back in the 70s and 80s, companies knew what they were doing to sucker you into things. But it wasn’t back then that was the killer, it’s the here and now, and something called nostalgia! As a kid growing up in that era, we were exposed to some of the biggest game-changing events to happen in the realm of entertainment. From blockbuster movies like Jaws, E.T., Back to the Future, and Ferris Bueller’s Day Off; to the introduction of the Commodore 64 and the first generation of gaming consoles; to the retro classic TV shows and re-runs of Transformers, Masters of the Universe, 1966 Batman, and Voltron; the entertainment industry literally had us at their mercy. And perhaps the biggest event of them all, Star Wars, was driven by perhaps the savviest businessman of them all, George Lucas. 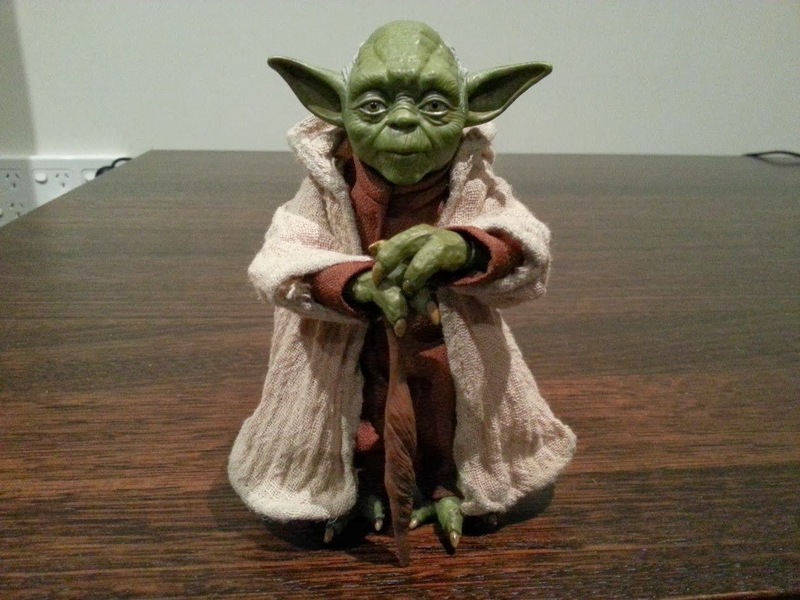 He not only had the creative passion to direct his vision of Star Wars, but had the foresight to retain all rights to the merchandise from the movie and its sequels! And merchandise they pumped out to the masses! It is these events in our younger days that stay forever in our memory banks, so much so they become a part of our psyche, the very framework of our brain and what it feels when we remember those amazing days! It’s those endless Saturday mornings of watching cartoons, hours after (and sometimes during!) school in the arcades playing your favourite games (Double Dragon, Street Fighter II, or Daytona anyone!?! 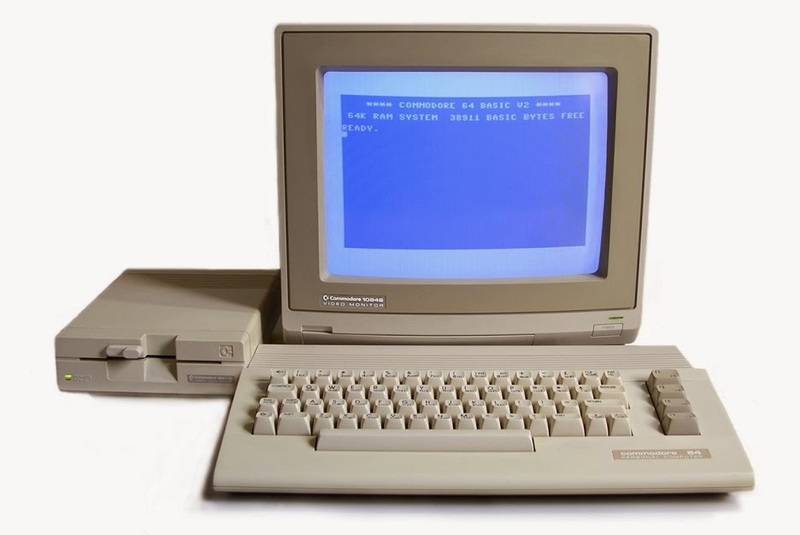 ), and watching those VHS videos of your favourites movies until the tape totally wore out! Back then, as it is now, it was all about instant gratification. There was no thought about protecting that toy to keep it in mint condition, or keeping that cartridge or floppy disk of a game if a new one came out. But companies now know that the memories of years past come flooding back in nostalgic bliss for people as they grow older. And it’s an itch they are more than willing to scratch, especially as their key audience is now older and have the means to spend up big! Star Wars toys have long been collectible, to the extent that the very sight of vintage packaging makes grown men and women behave in ways no adult should normally behave! So what do they do? 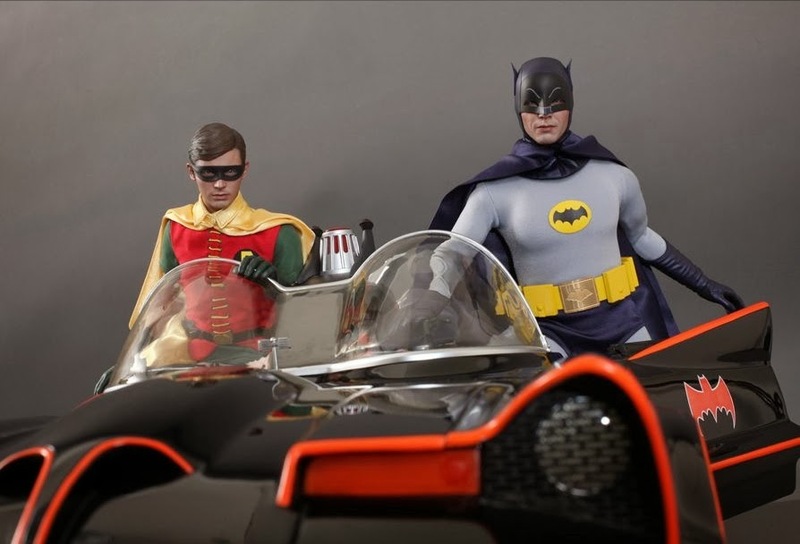 They combine the action figure technology of today, with the vintage packaging of yesteryear to create some of the most sought after lines of actions figures of recent years! 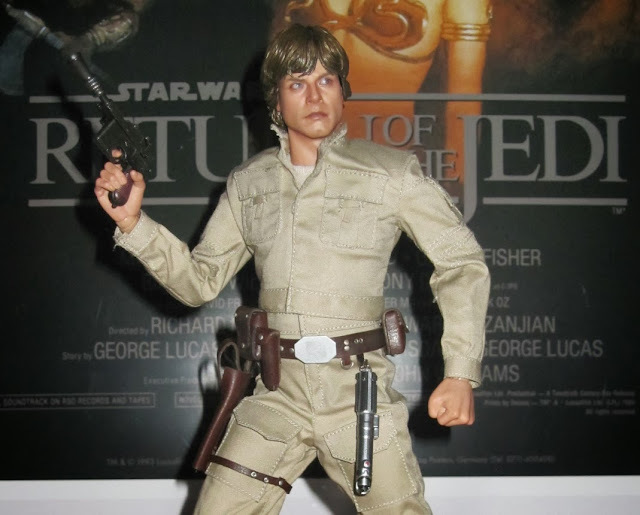 And on the high-end scale, companies such as Sideshow Collectibles and Hot Toys make some of the most accurate Star Wars figures that cater to those collectors who want to relive their memories right there in their display cabinets! 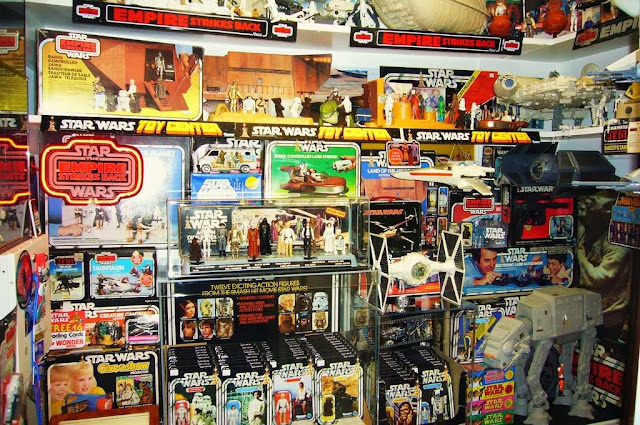 From toys, to books, to comics – you name it, they’ve made it to quench any nostalgic thirst you might have! But it’s not just Star Wars of course. Classic TV shows such as Transformers Generation 1 is seeing a huge resurgence. The entire G1 DVD remastered collection was only just released in Australia, and the Masterpiece Transformers line of figures is directly aimed at those collectors who grew up watching and loving the original cartoon series. Countless collectibles are now being made specifically to feed the nostalgia within us all. 2013 has already been a huge year with releases from Hot Toys and Sideshow, Diamond Select Toys, NECA, Funko, Mattel, DC Collectibles, and many others that all throw back to the golden age of movies and TV. But of course there’s no slowing down, with the leadup to Christmas and beyond filled with so many releases that will be available at retailers such as Gametraders. 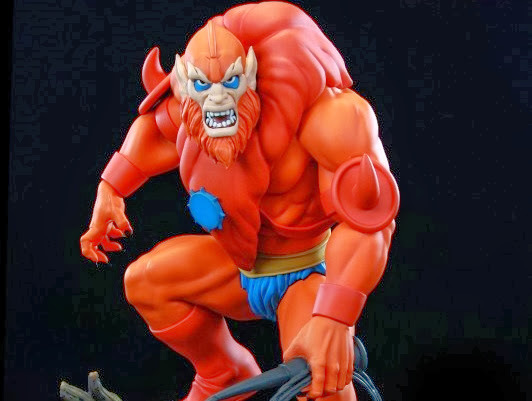 Retro classics such as the Hot Toys 1966 Batman and Robin, Popculture Shock MOTU Beastman statue, and many more! In essence, it all comes down to one thing, and that is our pure, unadulterated passion for the things we love! It never ends, and huge events always happen in cycles. Epic cinematic successes have occurred such as The Avengers and The Dark Knight trilogy, along more reboots than you can shake your nostalgic fist at. Mammoth followings for games such as Minecraft, Grand Theft Auto, Battlefield and The Sims have created more gaming addicts than ever before. TV shows such as Game of Thrones, The Walking Dead, and even Power Rangers Megaforce and Adventure Time for the younger demographic, have glued a new generation of fans to their screens. Here are a few pics of my Sideshow Collectibles figures as of today! Next big one is the Deluxe Darth Vader figure!! Can't wait for that one!!! Here are a few pics of my Hot Toys collection as of today!! DX13 Exclusive version coming next week from Sideshow! YEAH!! !